The Fantastic Four reboot has gone through its fair share of ups and downs. Due for release this coming August, the rushed production schedule and on-set kerfuffles have sorely hindered its reputation. Despite the solid casting choices and interesting filmmaker at the helm, this project has been hit with negative predictions from all corners of the Marvel and critic communities. Just a couple of days ago, Fox released its first trailer for the sketchily drawn project. Good news: its raises the anticipation levels. Bad News: its fails to capitalize on its unlimited resources. The trailer, kicking off with somber piano keys immediately establishes that clichéd and unnecessary “dark and gritty” vibe. Opposing the original movies’ slapstick-y vibe, this one looks destined to be heading in the wrong direction. The trailer’s existential worldview, contrasting capitalist-fuelled greed with the will to explore the unexplored, lends everyone a peculiar Interstellar glow. Coupling slow, ponderous establishing shots with gormless expressions, this could become a misguided attempt to ‘legitimise’ and ‘incentivise’ these kooky comic-book favourites. The Christopher Nolan/Ridley Scott tangible-meets-extraordinary feel is wholly noticeable. Indeed, the trailer’s noticeable lack of superpowers spells out: “Don’t judge us, we haven’t finished all the effects yet!”. Should we bring the awesome foursome into our dog-eat-dog world? 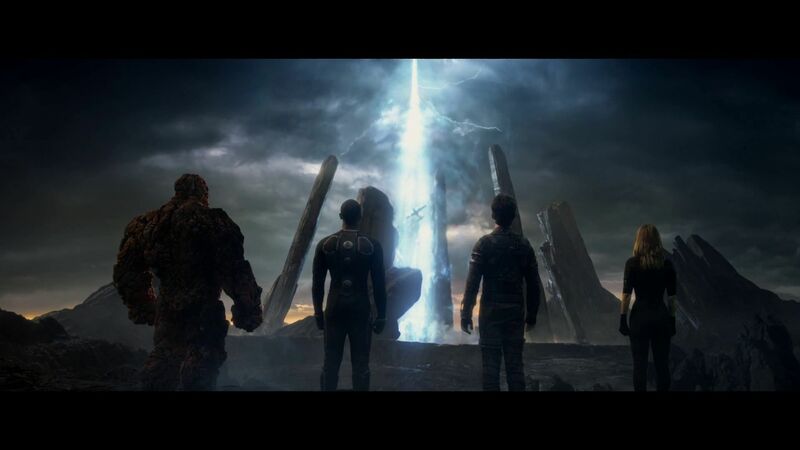 Could we make a fun Fantastic 4 movie without the originals’ disastrous sense of humour? I’d certainly like to think so. However, director Josh Trank, making waves after found-footage smash Chronicle, is this production’s best asset. His focused style and unique, outside-the-box mind frame could make the difference. In addition, Miles Teller, Kate Mara, Michael B. Jordan, Jamie Bell, and Toby Kebbell are all solid casting choices. Sadly, Jordan’s casting has brought out those “I’m not a racist, but…” commenters. Sad days, YouTubers! We’ll find out just how super the Fantastic Four are when the movie hits theatres later this year.